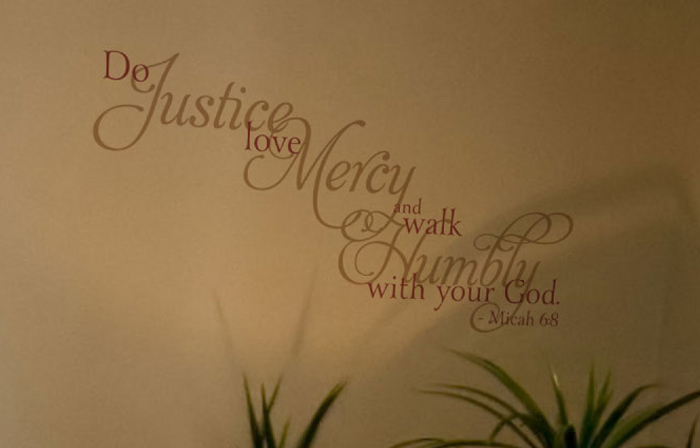 Micah 6:8 is all about personal responsibility: us taking action on things God has said he expects us to accomplish. 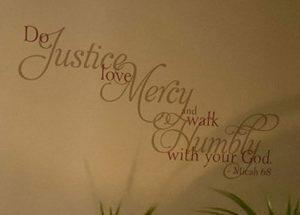 Justice, loving mercy and walking humbly are not passive activities. Our actions prove that we are living according to those. What actually looks like four portraits are framed medium sized mirrors. They reflect the white curtains and light coming in a form of an adjacent window. 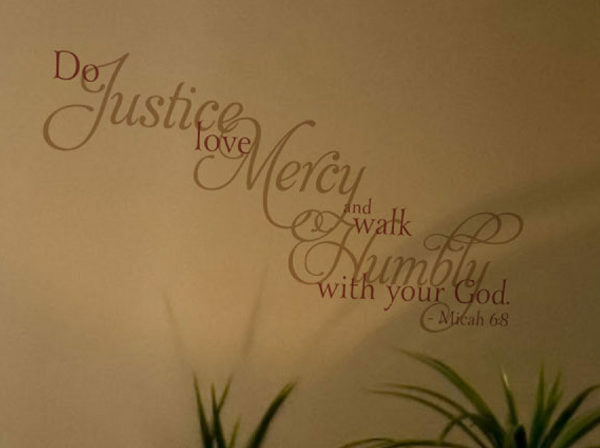 Next, is slanting wall lettering on Micah 6:8 placed above an orange lampshade and a narrow long leafed green potted plant. Since the underlying wall is tan colored, the soft light from the lampshade casts its shadow on the wall just below the wall letters creating an interesting visual. 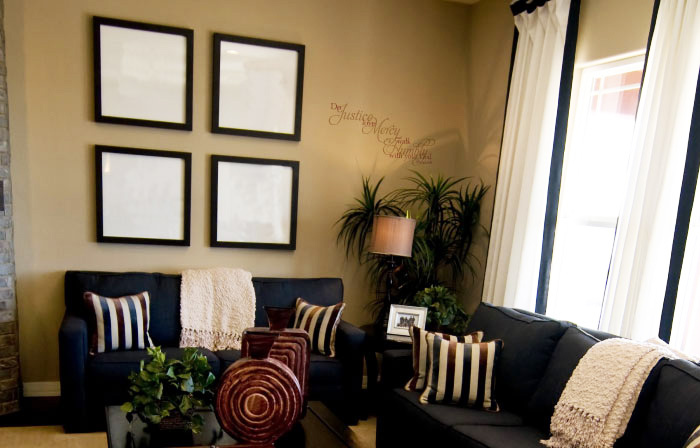 Left on their own, this tan colored living room with dark couches would have looked darker but for the white accents: picture family portrait, throwaways, striped black and white cushions and light brown coffee table accessories. Likewise, a life without scripture can be dark but wall quotes like those on the wall cast light into our lives drawing us closer to God: actively sharing the good news with attractive, low maintenance decor. 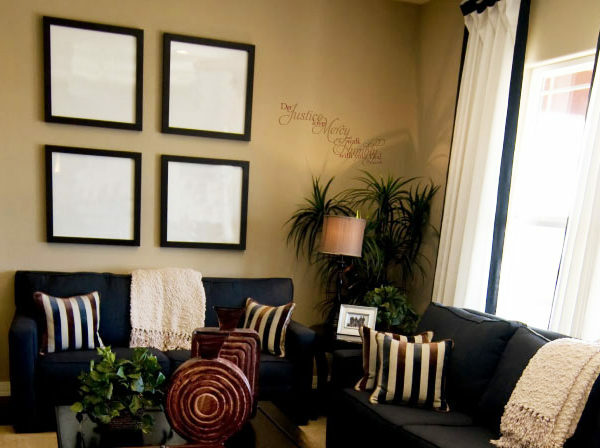 Now that is a smart way to use wall decals!